It’s that time of year again. 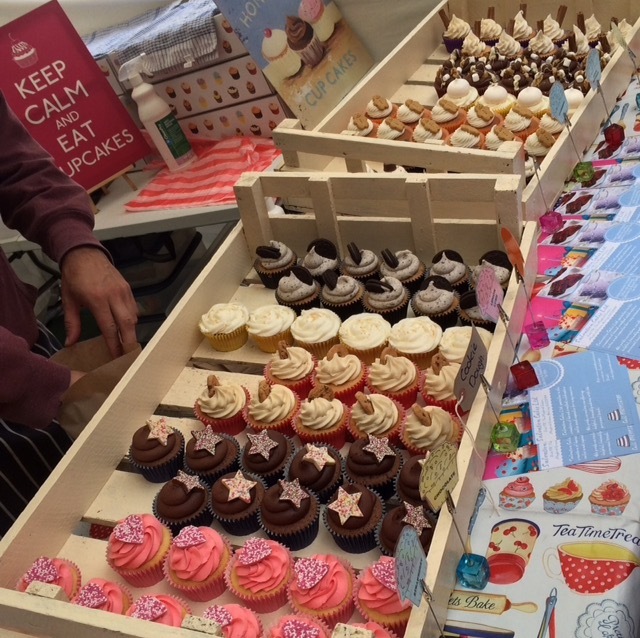 Woking Food & Drink Festival was back for another year and was bigger than ever. 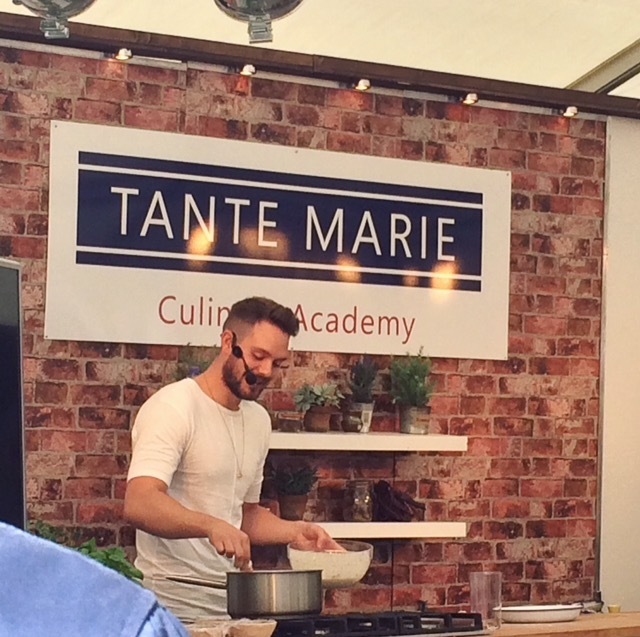 Stretching over 3 days, there was an abundance of food and drink stalls, book signings, masterclasses at Tante Marie, BBQ Demonstrations, and live cookery demos from the well known Daniel Britten and Monica Galetti, to the chefs from restaurants around Surrey. For me Sunday is where it was at. Why? John Whaite of course! I am a humongous Bake Off fan, like super fan, into the fact I am devastated I am going to miss the finale this year (it is for an amazing cause though, I am walking the Great Wall of China in aid of CoppaFeel!). Out of the 3 days, if I was going to be going to any of them this was the kiddy. Arriving in time to see John Whaite get his cook on; on the menu was East meets West Fried Chicken and Cornbread. Not his usual M.O given Bake Off, but if you happen to watch Lorraine you will know he is not all about cakes and bakes. Full of handy tips, easy steps and the usual spot of John humour, made this demonstration entertaining and inspiring. From there and onto the book signing! By this point you can imagine my excitement levels had reached a whole new level! With that cheeky smile, John was just fabulously lovely, took time with everyone, and chatted about this years Bake Off. Thanks to John all I can see is Neil from the Inbetweeners when I hear Mat with one T speak! The main event itself, what a turn out it was. Packed to the brim with people, the atmosphere was infectious. Whichever way you turned there was something on offer, but it didn’t feel like we were all packed in like sardines. With over 80 mouth watering food and drink stalls there was something for everyone. From curry, pulled pork, street food, Dippy Chips and exotic meat burgers, to churros, pastries, macaroons, marshmallows and cupcakes. It was a miracle I did not waddle out of there 20 stone heavier! It wasn’t just about food, there was an array of drink stalls, all of which were small businesses. Our favourite was definitely Fabulous Vodka. A small friendly business giving vodka a new lease of life. Concoctions included Plum, Wild Cherry, Rhubarb, Ginger and if you are brave then Hot Chilli (which was bloomin’ hot). 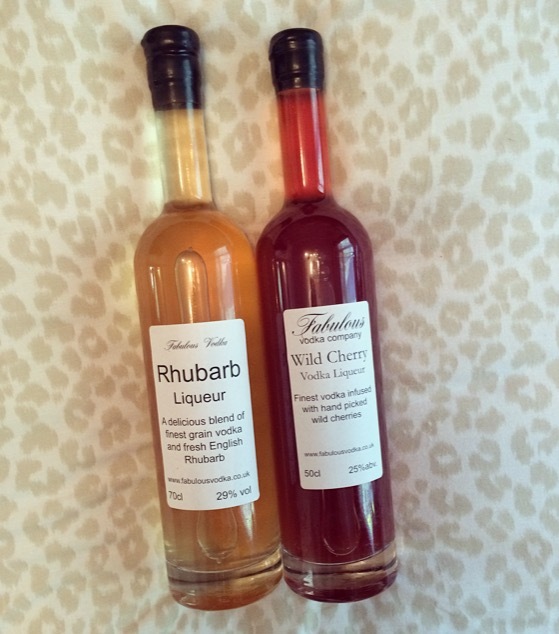 The Rhubarb and Wild Cherry were deliciously fruity and as the company suggests, fabulous vodka; two bottles please! Lunch was delicious and personally I couldn’t resist a slice of Pizza. 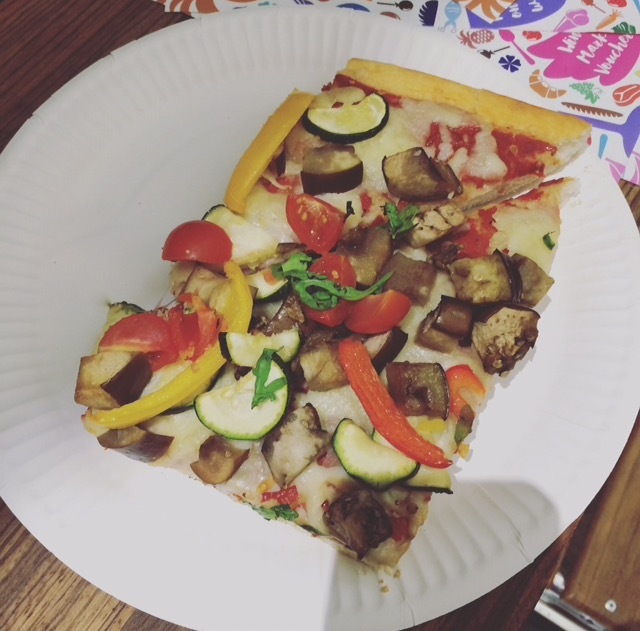 Permanently situated in Woking’s Market Walk, Breadstall Street Bakery had some mighty fine goods on offer, one being this veggie pizza! If you are ever passing stop by, you may even learn a thing or two about calzone. The Ma and Pa opted to Swine n’ Dine with a Swine Burger, BBQ pulled pork in brioche bun and Swine Dog, a smoked hotdog piled high with BBQ pulled pork, both of which were lick your lips delicious! Unfortunately they had scoffed the lot before I could nab a picture. 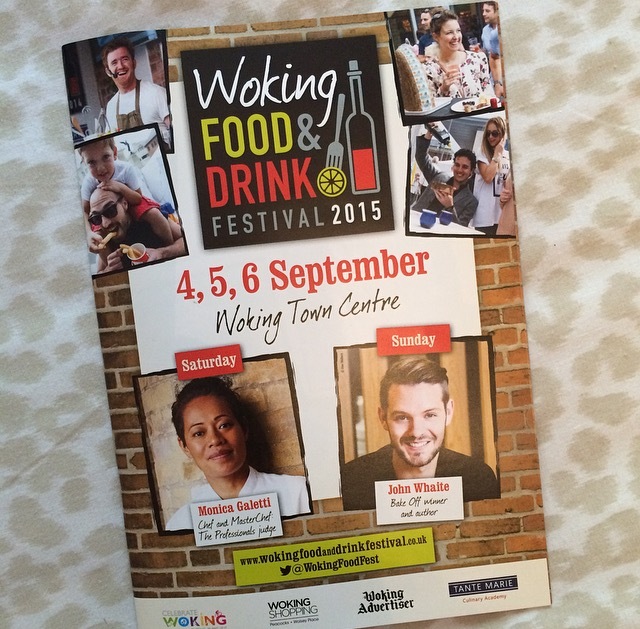 This year’s Woking Food & Drink Festival has certainly outdone itself, and no I am not just saying that because John Whaite was there, okay maybe a little! It was great to see an event that focuses on and celebrates all things local and small, and really goes all out for it. I wonder what next year will bring! 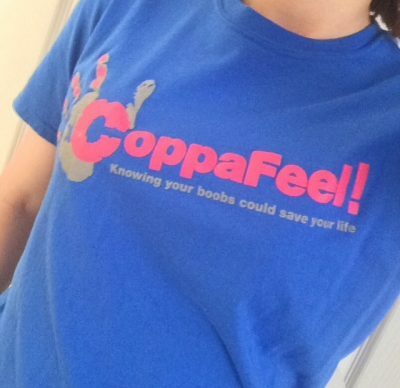 Previous Post Update: Fabulous Challenges Charity Trek in Aid of CoppaFeel! It looks amazing, I really wanted to go this year since Market Walk has been redone. But I couldn’t make it.